Synchronaria is Aaron Bond & Damian Roman aka Collaborator. The pair are churning music on a path of vocal driven dnb, dubstep, electro & rock. Recently releasing their debut dubstep album “Strike & Run” to the world, they have a grasp of the heavy & melodic bass auditory art. Together they’ve been pushing their brand playing select shows, gaining respect and signings to labels Royal One and Shift Recordings respectively. They are set to release their 2nd album “Stem the Tide” later this year. 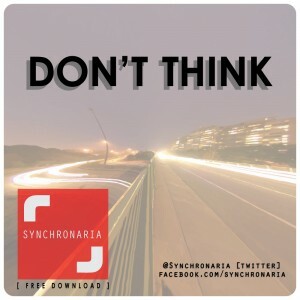 Synchronaria blast a free new tune “Don’t Think” for the heads in the dnb/drumstep vein. Click the cover art above. Enjoy!